Twitter shares finished Friday 20% down at market close after reporting a decline in monthly active users during the second quarter. 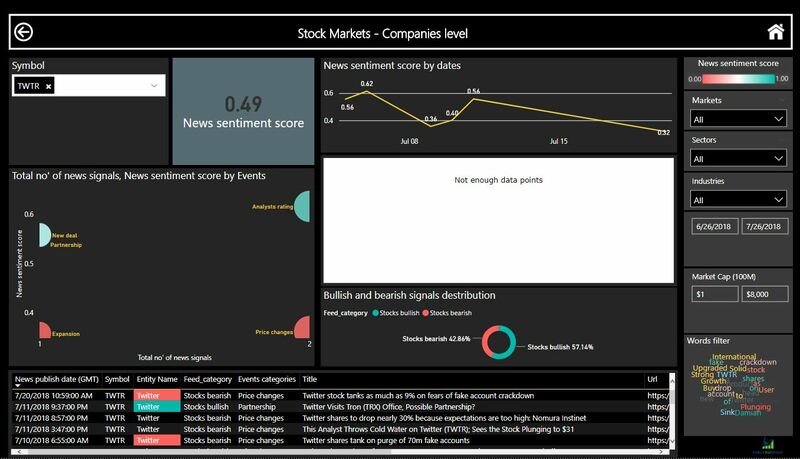 This dashboard presents our data on facebook using news sentiment score on a scale between 0-1 (above 0.5 consider bullish sentiment and below 0.5 consider a bearish sentiment). Twitter’s 30 days news sentiment score was below 0.5 thresholds (0.49) on Jul 26 a day before the financial report was published. On Jul 09, the first sign of bearish sentiment happens as the news sentiment score cross 0.5 and move down to 0.36-0.4 follow by signs of user activity may slow. On Jul 20 the stock drop 9% as the fear from fake accounts make it to the headlines. These events were strong enough to act upon and start sale position or to enter th short positions, as the thresholds triggered twice, our clients that set up an alert for Twitter news sentiment change got a notification and was aware to the company news sentiment score and the negative change which factored in the market after the company’s financial report releases. Companies that don’t monitor the news sentiment on an ongoing basis may miss the opportunity to react in advance to major events. 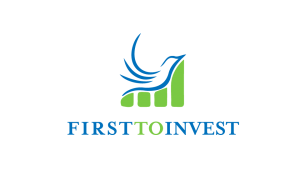 Luckily, there are technologies that allow to analyze and monitor news sentiment score of equities and other assets classes in easy to use interactive dashboards and alerts.